MedSource is a proud partner with several innovative technology companies. We have carefully vetted each platform prior to customer implementation. We take great pride in offering healthcare facilities top shelf products to enhance their patient care & business performance. The key to maximizing the Medicare Annual Wellness Visit Program (AWV) is having a productive & efficient platform that allows the physician practice to gain 70% utilization of their Medicare patients. Most practices using an EMR system, have some built in functionality of the AWV. However, nationwide studies show that on average practice capture less than 20% of their patients with the AWV guidelines. Practices that use our CORECARE platform should expect to achieve a 70% to 80% assessment rate. The numbers tell the story. Better care planning for your patients and strength to practice performance. Let us show you how our AWV platform will bring superior performance to your practice. Successful Chronic Care Management can be a Unicorn in today’s healthcare environment. There are 49 CMS requirements including 20 minutes of non face to face interaction per month, 8 dollar patient co-pays.. The obstacles to successful implementation can seem daunting. Let us show you how it can be done. We have hands down, the BEST CCM Platform on the market today. We can provide your patients with the services they should expect, and provide your practice the tools to provide concierge quality CCM services to your patients. Many practices have decided that CCM is an impossible program to implement without it costing the practice money. Our platform manages your CCM program for your practice, freeing up your staff for face to face patient care and our platform offers the only guarantee in the industry that your practice will pass a CMS audit of its CCM program if its manged by the platform provider. 2017 Guidelines state that there is NO consent form needed now. There are more G codes and CPT codes to follow, and we can help you understand it all. 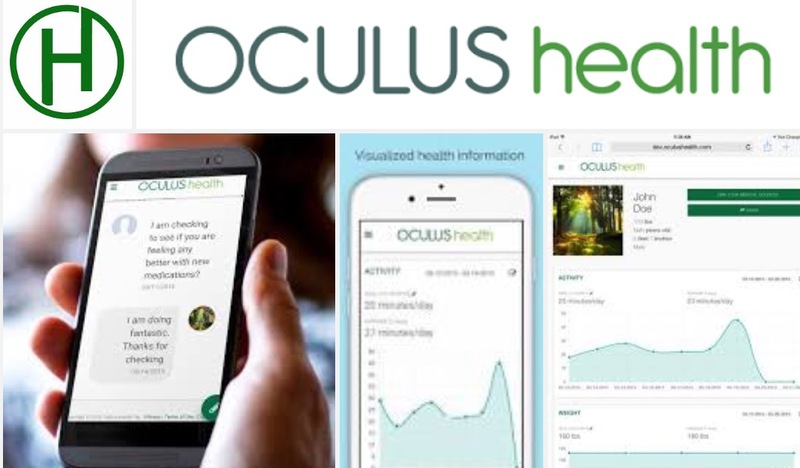 20 to 30% of Chronic Care Patients refills and ultimately 30% of the switchboard calls are absorbed by the Oculus Personal Care Team. Bar none, we have the only platform that can successfully catch the CCM Unicorn. Risk is inherent in any surgery. But even up to 30 days after a surgery, long after leaving the hospital, patients are still at risk for post-surgical infection. With no tools available for physicians to easily monitor their patients for infection, patients can easily end up in the ER or be readmitted to hospital due to infection. “how2trak” Surgical Site Infection Surveillance enables physicians and their teams to receive photos and critical information about their patient’s surgical site and communicate directly with them, empowering remote monitoring of their patient’s recovery. This means infections can be detected and treated early, enabling patients to recuperate at home, without the need to return to the hospital. Are you ready to help make chronic wounds a thing of the past? When patients don’t receive best practice treatment, its’ normal for their wounds to often persist for months or years on end, requiring copious amounts of time, resources, and professional attention. 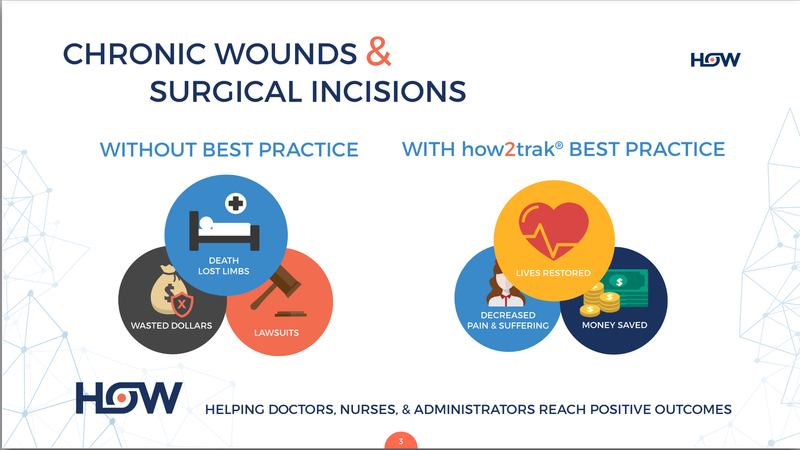 When front line healthcare providers are alerted to patient-specific best practices in “real time”, wound complications can often be prevented from ever occurring in the first place, and if they do occur they can be healed faster by our product! MedSource offers your practice the a simple, compliant and affordable EHR solution. 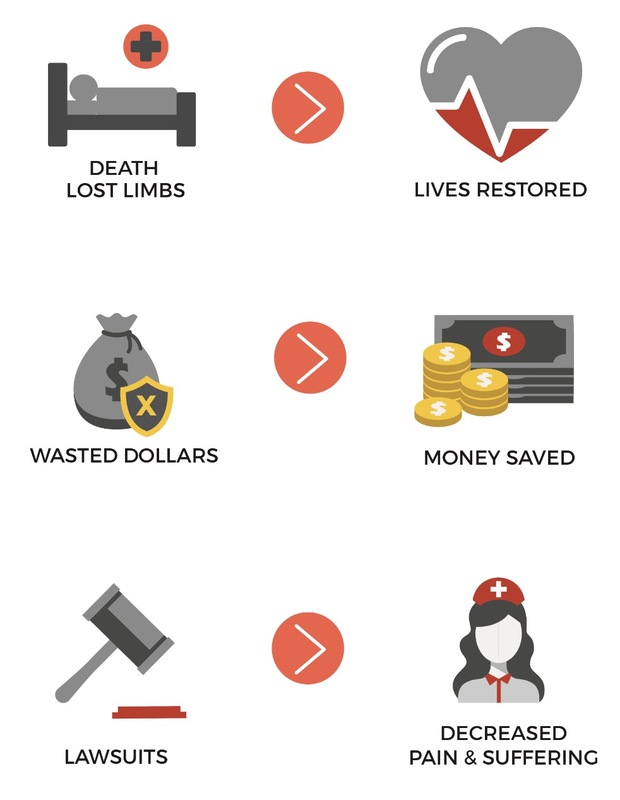 We give you the power to connect the clinical side with the financial side. We offer a true cloud-based system so your practice manager will not need to maintain servers or software. Our EHR, Practice Management, and Billing services solution enable practices of any size afford a robust technology that meets all their needs with a very affordable cost. 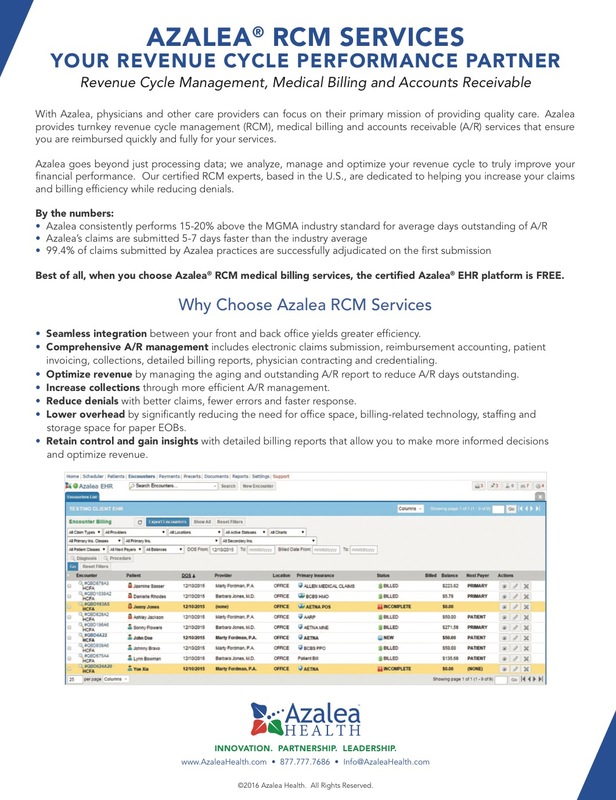 80% of Medical Practices have implemented an EHR solution. Many of those have failed due to inadequate training, complexity of the system, and add on costs. With many services from CMS coming, it’s important to look into an EHR system with us to fully capture the revenue streams associated with better healthcare.